The T595 compact track loader has a 74 hp engine that meets Tier 4 Regulations without DPF. Rated operating capacity at 35% tipping load is 2,200 pounds, and it has a vertical lift path. Delivery and Pickup fees will apply or a trailer can be rented for an additional fee. 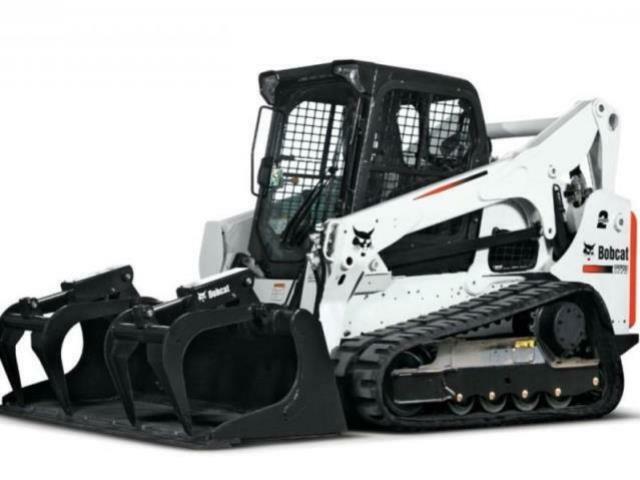 * Please call us with any questions you may have about our bobcat compact track loader rentals in Dallas and the DFW Metroplex.